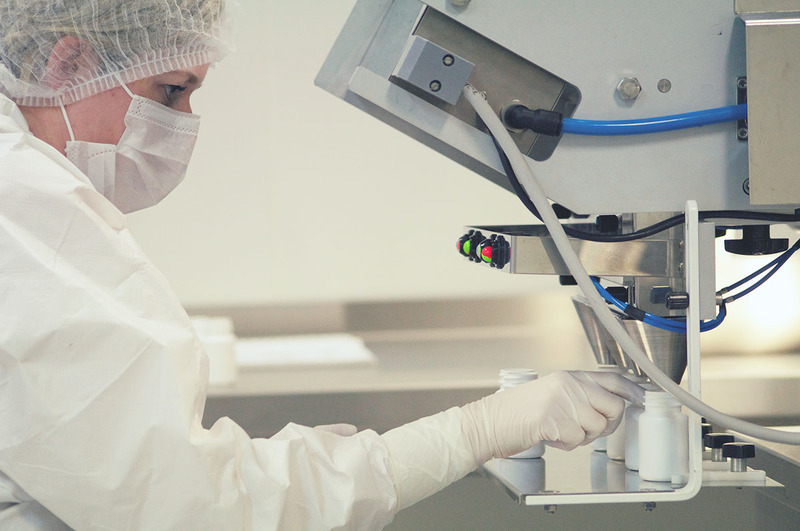 Whatever your pharmaceutical packaging needs may be, CSM has the flexibility, modern tools, and proven qualifications to handle your Phase I to Phase IV projects. Since 1997, we have worked tirelessly for twenty-plus years to make sure your clinical trials are fast, waste-free, and always on time. With input from our highly valued clients, our capable, knowledgeable team members work strategically to configure the most cost-effective and patient-compliant methods. They do this all the while ensuring absolute efficiency and accuracy supporting your global trial, which we are positive you will not find at this level of professionalism from any other clinical trial packaging company, as over 50% of our clinical trials are multinational. We offer traditional clinical packaging and labeling solutions, as well as On-Demand and Direct-to-Patient packaging services, including cold chain packaging and labeling solutions. We are globally focused on providing our clients with innovative, flexible service options for their clinical trials; we have spent over two decades making sure our packaging and labeling services are compliant with all and any local regulations. We are readily available to cater to all of our client’s goals for every clinical trial - no matter how large or small. CSM commits to providing every client with the most resourceful, efficient packaging and labeling services for every clinical trial. Does your study involve a short timeline or complex packaging requirements? Check out the On-Demand Packaging and Labeling process that allows you to start your clinical trial in just a few weeks. CSM has twenty-plus years of clinical trial packaging and labeling experience. This assures that we are capable and ready to handle any and all changes in a qualified, effective manner, which successfully eliminates re-work and makes adaptive trials possible. As your preferred clinical trial packaging and labeling company, CSM will ensure the highest level of accuracy, with meticulous inspection and QC oversight. Unlike many other clinical trial packaging and labeling companies, our methods are build around facing all challenges head-on to prepare accurate, timely mass-pharmaceutical packaging and clinical labeling supplies for your study. Our patient and client-driven services are built to ensure the best possible outcome for your clinical study-specific packaging and labeling needs. All of CSM's clinical packaging and labeling services are performed under cGMP and EU GMP conditions, and meet 21 CFR and Annex 13 requirements. We recognize the packaging and labeling obstacles that you may face during your clinical trials - from time constraints to study changes that cause re-work and waste. On average, 50% of all clinical supplies that are packaged and labeled are never used. With CSM’s On-Demand method, you can shorten timelines, reduce waste and increase the flexibility of your study so as to directly tackle any packaging and labeling difficulties from the start. No more having drug sitting at sites that aren’t enrolling patients. No more having to rework finished product with label changes. On-Demand focuses on actual enrollment, allowing your company to start a clinical trial in just a few weeks. We recognize the urgency of time in relation to your study. On-Demand is the packaging and labeling of clinical supplies specifically for, and immediately prior, to each shipment request. Simultaneously, we make sure your shipment request will be processed within 48 hours (for the US)- every single time. For our European facilities the On-Demand process is available, which allows for our EU sites to complete the request within 72 hours, including our QP release. CSM is proud to have an advantage over other clinical trial management companies in this post-Brexit world, as we have two highly established sites within the EU: Belgium and Germany. Our On-Demand services include bottling, patient kit assembly, and label application. Like our traditional clinical trial packaging and labeling methods, On-Demand is also performed under cGMP conditions and diligently follows the requirements of 21 CFR 211 and Annex 13. We understand the difficulties in designing and producing labels for clinical trials. This is why CSM offers flexible, accurate, and compliant clinical labeling precision for whatever those clinical trial label or design challenges may be. Once we establish the logistics of your clinical trial labeling requirements, our highly efficient designers produce focused products meant to meet both the regulated and the aesthetic design your study needs. Our highly skilled team will consistently be by your side in order to adhere to your exact protocol needs. They will provide customizable solutions that benefit the unique characteristics of your clinical labeling and production needs. This allows us to properly and professionally manage the personalized supply chain logistics of your trial. We make sure your pharmaceutical supplies are correctly labeled and produced in a fast, efficient, and timely manner, tailored to your specific trial needs. Our in-house thermal transfer printing capabilities allow for a quick turn-around when your project has a short timeline. CSM operates under cGMP compliant procedures and each label undergoes a 200% quality inspection. "In a recent trial we experienced an unforeseen challenge: Our labels had to be reprinted and we were worried that this would push back our delivery to sites by at least 3 weeks. But thanks to CSM and their On-Demand process we were back on track within 48 hours."